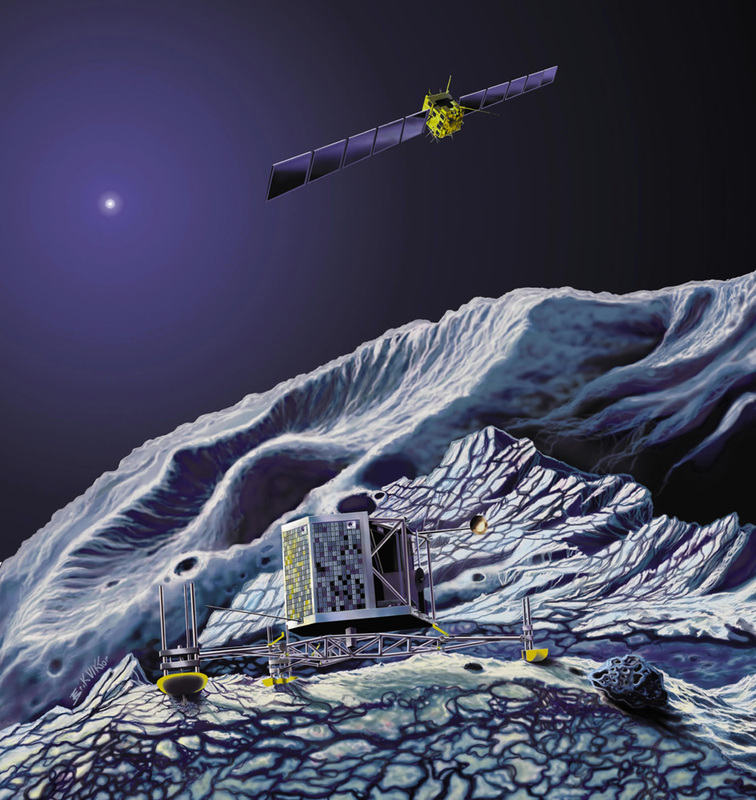 Stewart forwards this beautifully detailed rendering of the Rosetta Mission by artist Erik Viktor, showing the landing craft on the icy surface of Comet 67P/Churyumov-Gerasiamenko and the sun beyond. The main spacecraft above is the orbiter, with 14 meter solar panels on each side. The orbiter has eleven groups of scientific instruments, intended to take readings from the lander, and relay them back to earth. The prototype Rosetta Disk is also on the orbiter, located on the exterior underneath thermal blankets. The orbiter is due to rendezvous with the comet in 02014. A Seed Vault for Culture? How long is humanity’s future?